Don't have a place to wed? 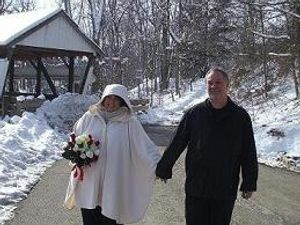 Marry at a nearby covered bridge. All you need is a valid marriage license. Digital pictures emailed to you at no extra charge. Matthew 19:6 - So they are no longer two, but one. Therefore what God has joined together, let man not separate.